Whatever happened to Tank Man? Trying to uncover the truth behind the fate of a young student who, shopping bags in hand, faced down the might of the Chinese military during the 1989 Tiananmen Square chaos and carnage has been near impossible. After the bloody crackdown on these demonstrations, all mention of this moment has been erased from the history books and internet in China, despite being iconic almost everywhere else in the world. This is the central mystery behind the largely fictionalised Chimerica (adapted for the small screen by Lucy Kirkwood from her own 2013 play). 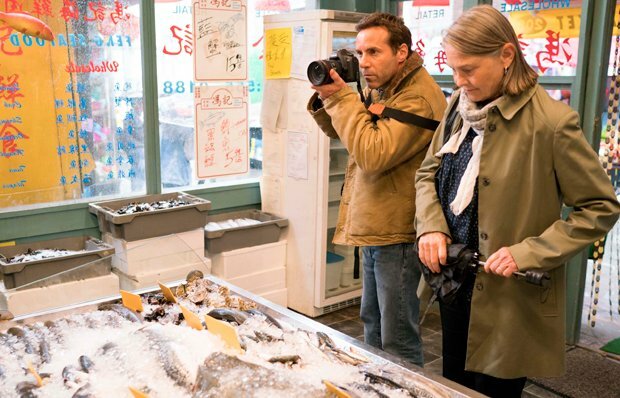 A disgraced photo-journalist Lee Berger (Alessandro Nivola) teams up with his veteran reporter buddy Mel Kincaid (Cherry Jones) to try and unmask this forgotten hero who was rumoured to have fled and settled in New York. Set in the run-up to the 2016 presidential election when fake news became part of the lexicon, this four-parter is vaguely confused about what it's trying to say. Was 2016 the moment when America began to slowly topple into a China-like state of totalitarian capitalism? Trump and his cronies certainly like to shamefully bully journalists, but there are (as yet) no stories of reporters being arrested without charge and tortured or killed. Back in Beijing, Lee's old pal Zhang Lin (Terry Chen) is falling for a soon-to-be divorced neighbour without realising that his Western connections is likely to make them both a target for the authorities. Chimerica is diverting enough, but whatever it was trying to say in 2013 about global economics, its message feels swamped by aligning it to the 2016 face-off between Clinton and Trump (especially when Russia and not China was perhaps that election's key string-pullers). While there are some enjoyable lines such as old-school broadsheet editor Frank Sams (F Murray Abraham) dubbing online comment sections as 'Assholes Anonymous … a national circle-jerk for imbeciles', others crash and burn: 'It's not a crusade, Lee, it's desperate masturbation!' Mel yells at her ex-colleague in a restaurant toilet on election night. 'This is a fictional story about real events' announces the drama at the beginning of each episode. The balance of fiction vs reality here might be hard to fully quantify but Chimerica's attempts to make itself more significant through this statement is somewhat unjustified.